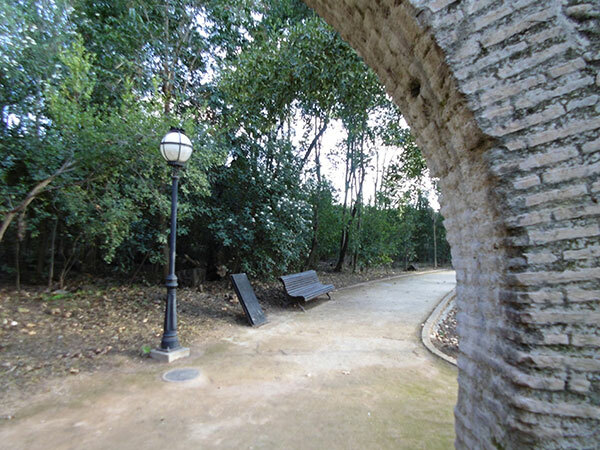 The Carmen de los Mártires is a site of more than seven hectares on the Mauror hill within the Alhambra complex, publicly owned and declared a Garden of Historical Interest in 1943. 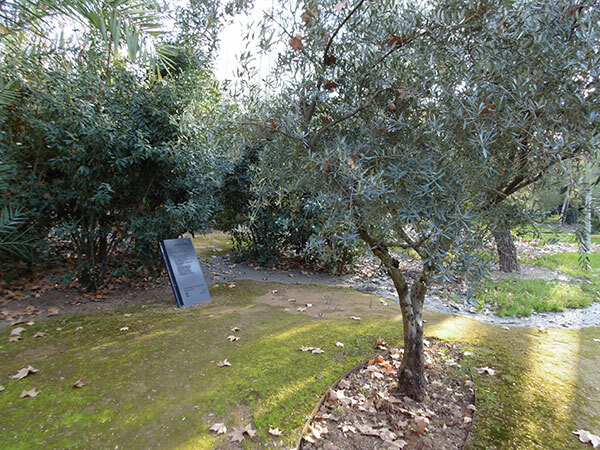 It contains a nineteenth-century mansion, Romantic gardens and Nasrid orchards, with extraordinary views of the city of Granada, the river Genil flood plain below and the backdrop of the Sierra Nevada mountains. 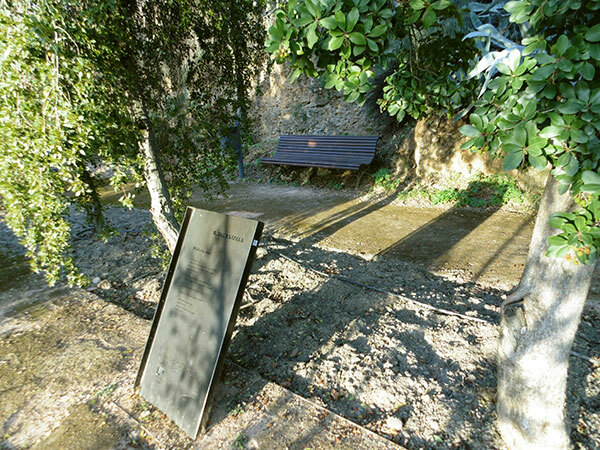 The Albaicín-Granada Public Agency, as part of the Granada Tourism Plan, in partnership with the Granada UNESCO City of Literature Programme under the auspices of Granada City Council’s Culture Department, has created a route called Poetas en el jardín de los Mártires (Poets at the Carmen de los Mártires Gardens). 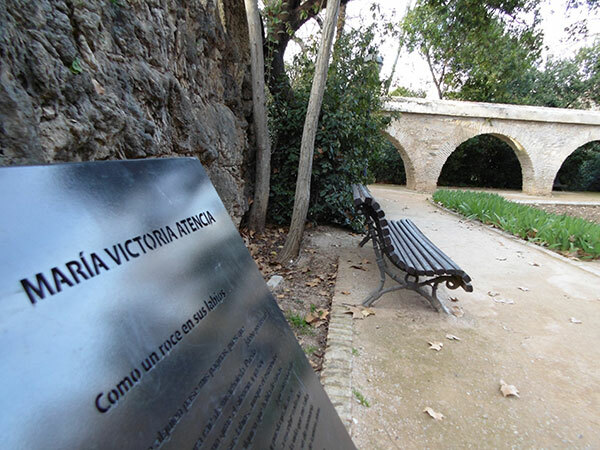 The idea has been to create a high-quality cultural product for tourists, enhance one of the city’s most special yet insufficiently known places, and strengthen Granada’s image as an international city of literature. 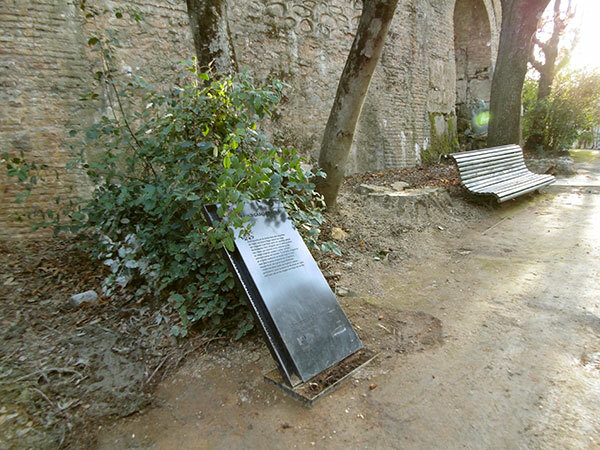 The poetry route runs through the most interesting parts of this history-soaked complex. The poet St John of the Cross lived here between 1582 and 1588, when he was the prior of the Carmelite Convent of the Martyrs. 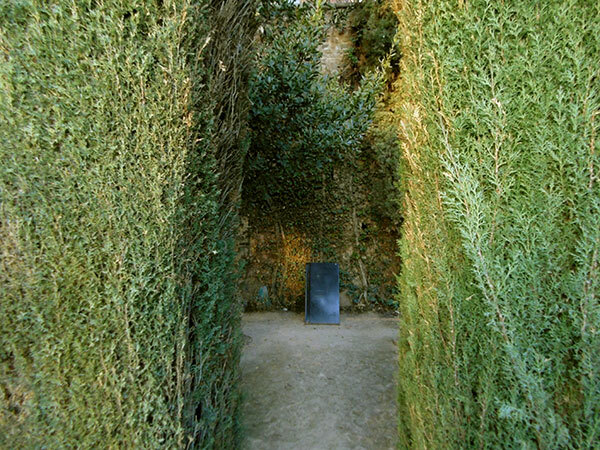 These are the gardens where he composed the works that to this day represent the purest expression of mystical poetry. His memory lingers in the aqueduct that he had built next to the orchard and in the renowned St John’s cedar tree. The poet José Zorrilla, who wrote Don Juan Tenorio, also lived here while he was in Granada on his appointment as Spain’s poet laureate in 1889. 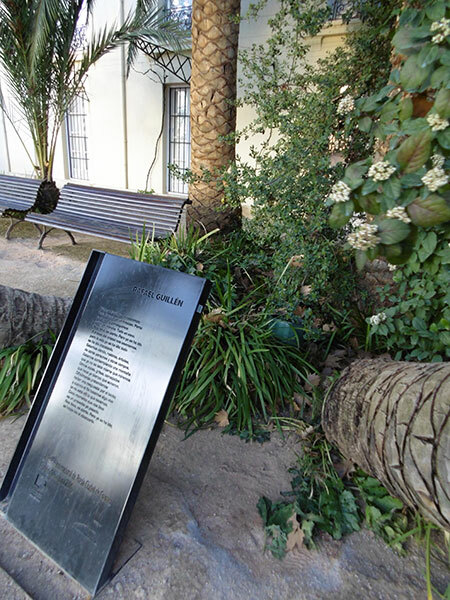 Today these literary gardens also house the best of contemporary poetry: the winners of the City of Granada–Federico García Lorca International Poetry Prize, which year after year acknowledges the poets who have made the most significant contribution to Hispanic literature. Fourteen enclaves for reading and contemplation. Fourteen corners filled with peace and beauty, inviting you to sit down and read some of the finest poets writing in Spanish. Between 1970 and 1993 he taught at several universities in the United States. In 1985 he won the Prince of Asturias Literature Prize. In 1996 he was elected as a member of the Spanish Royal Academy and won the Reina Sofía Prize for Ibero-American Poetry. In 2004 he won the first edition of the City of Granada–Federico García Lorca Poetry prize. His collections of poetry include Áspero mundo (1956), Sin esperanza, con convencimiento (1961), Grado elemental (1962), Tratado de urbanismo (1967), Prosemas o menos (1985), Otoños y otras luces (2001) and Nada grave (published posthumously in 2008). José Emilio Pacheco was born in Mexico City in 1939 and died there in 2014. A key figure in Mexican culture and letters, he was a contemporary of such writers as Sergio Pitol, Carlos Monsiváis and Eduardo Lizalde. Pacheco studied at UNAM and was a regular contributor to the leading cultural journals and supplements in Mexico in the 1960s. He translated T. S. Eliot, Tennessee Williams, Samuel Beckett and Oscar Wilde; taught at universities in the United States, Canada and the United Kingdom, as well as at UNAM, his alma mater; researched at the Historical Studies centre of the National Institute of Anthropology and History; and was a member of the National College and the Mexican Academy of Language. Holding honorary doctorates from several universities, he won many awards, including the Cervantes and Reina Sofía prizes in 2009, the City of Granada-Federico García Lorca International Poetry Prize in 2005 and the Pablo Neruda and Alfonso Reyes prizes in 2004. 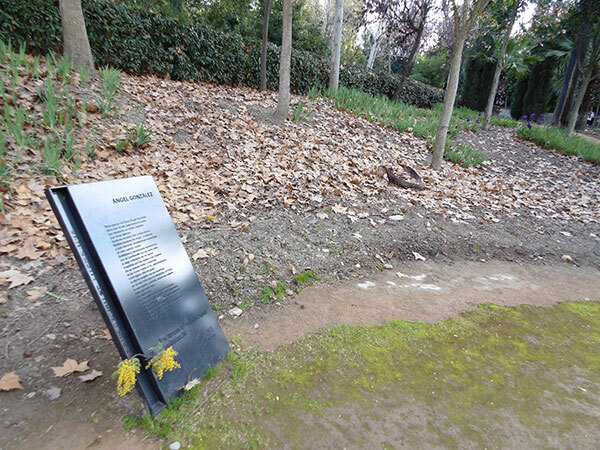 In 2006 she was awarded the third City of Granada–Federico García Lorca International Poetry Prize, with the jury highlighting the rigour of her poetry. She also won the Reina Sofía Prize for Ibero-American Poetry in 2007 and the Octavio Paz Prize in 2001. Federico García Lorca (1898–1936) is the best-known Spanish writer in the world after Cervantes. Translated into numerous languages, his plays are performed as classics the world over, and the number of studies, books and articles about his life and works only continues to grow. Poetry: Libro de poemas (Book of Poems, 1921), Poema del cante jondo (Poem of Deep Song, written in 1921 and published in 1931), Suites (written between 1921 and 1923), Primeras canciones (First Songs, 1936), Canciones (Songs, 1927), Romancero gitano (Gypsy Ballads, 1928), Seis poemas galegos (Six Galician Poems, 1935). During his time in New York (1929–30) he wrote Poeta en Nueva York (Poet in New York), which was published posthumously in 1940. On his return to Spain he wrote Llanto por Ignacio Sánchez Mejías (Lament for Ignacio Sánchez Mejías) and Diván del Tamarit (Diwan of the Tamarit) as well as the Sonetos de amor oscuro series (Sonnets of Dark Love, mostly written in 1935 but not published in full until 1983). Plays: El maleficio de la mariposa (The Butterfly’s Evil Spell, 1920), Tragicomedia de don Cristóbal y la señá Rosita (The Tragicomedy of Don Cristóbal and Señorita Rosita, 1922), La zapatera prodigiosa (The Shoemaker’s Prodigious Wife, 1923–1930 and 1933), Mariana Pineda (1927), Retablillo de don Cristóbal (Don Cristóbal’s Puppet Show, 1934), Amor de don Perlimplín con Belisa en su jardín (The Love of Don Perlimplín for Belisa in His Garden, written between 1922 and 1926 and first performed in 1933). His trip to New York and Havana resulted in several works that he did not believe it possible to stage at the time, such as Así que pasen cinco años (When Five Years Pass), El public (The Public) and the unfinished Comedia sin título (Untitled Comedy). Commercial success came to him towards the end of his short life with Bodas de sangre (Blood Wedding, 1933), Yerma (1934) and Doña Rosita la soltera o el lenguaje de las flores (Doña Rosita the Spinster, or The Language of Flowers, 1935). The first production of La casa de Bernarda Alba (The House of Bernarda Alba) was in 1945. Francisco Brines (b. 1932) is a member of the group known as the “1950 Generation”, together with such other poets as Ángel González, José Ángel Valente, Jaime Gil de Biedma and Claudio Rodríguez. In 1999 he won the Spanish Literature Prize, in 2007 the fourth City of Granada-Federico García Lorca International Poetry Prize, and in 2010 the Reina Sofía Prize for Ibero-American Poetry. Tomás Segovia (1927–2011) went into exile with his family in Mexico in 1940, after periods living in Paris and Casablanca. He taught at the National Autonomous University of Mexico (UNAM) and at Princeton. He edited the journal Plural and was a member of the editorial board of Vuelta. His many publications include works of poetry, essays, fiction and drama. His poetry collections include El sol y su eco (1960), Anagnórisis (1967), Luz de aquí (1982), Lapso (1986), Noticia natural (1992), Misma juventud (2000), Día tras día (2005), Siempre todavía (2008) and Estuario (2011, Critics’ Prize). His published essays include Contracorrientes (1973), Poética y profética (1986) and Recobrar el sentido (2005), as well as the works of fiction Trizadero (1974) and Personajes mirando una nube (1981). He also translated Rilke, Nerval, Lacan, Agamben and Harold Bloom. In 2008 he won the Octavio Paz Poetry and Essay Prize and in 2008 the City of Granada–Federico García Lorca International Poetry Prize. The poet St John of the Cross (in Spanish, “San Juan de la Cruz”) was born as Juan de Yepes Álvarez in Fontiveros (Ávila) en 1542, and died in en Úbeda (Jaén) in 1591. He reformed the Order of Carmelites and, with Teresa of Ávila, co-founded the Order of Discalced Carmelites. Amid the struggles between the Calced and Discalced Carmelite factions, Juan de Yepes was arrested in 1577 and taken to the Carmelite friary in Toledo, where he was forced to appear before a tribunal to renounce the reforms that Teresa of Ávila had begun and he had followed. When he refused to comply, he was imprisoned for eight months in a monk’s cell, where he began to write Cántico espiritual and other poems. In 1579 he moved south to Baeza (Jaén), and in January 1582 he travelled on to Granada, where he remained until mid-1588, following his appointment as third definer and prior of the convent of the Martyrs. This is where he would write a large number of his most significant works. He died in Úbeda three years later. Juan de Yepes was beatified by Pope Clement X in 1675 and canonised as St John of the Cross by Benedict XIII in 1726. José Manuel Caballero Bonald (b. 1926), a leading member of the 1950 Group, taught Spanish literature at the National University of Colombia and Bryn Mawr College and also worked at the lexicography seminar of the Real Academia in Spain. 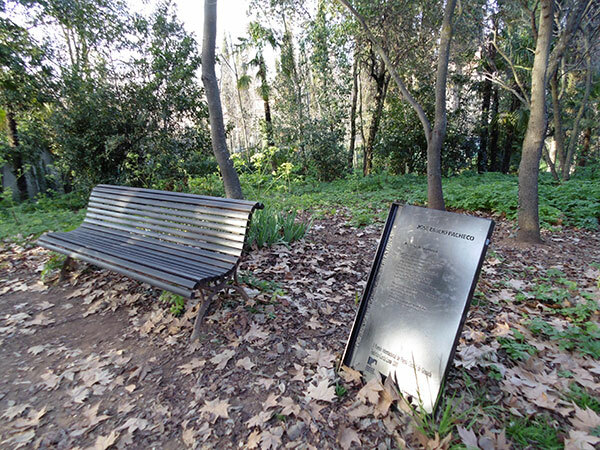 He has been awarded the Critics’ Prize three times, twice as a poet and once as a novelist, as well as the Andalusian Literature Prize (1994), Reina Sofía Prize for Ibero-American Poetry (2004), National Literature Prize (2005), National Poetry Prize (2006) and City of Granada-Federico García Lorca International Poetry Prize (2009). María Victoria Atencia (b. 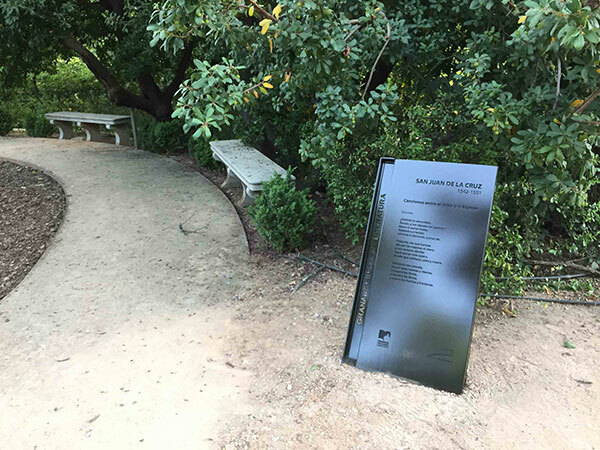 1931) has published poetry collections including Arte y parte (1961), Marta & María (1976), Compás binario (1979), Paulina o el libro de las aguas (1984), Trances de Nuestra Señora (1986), De la llama en que arde (1988), La intrusa (1992), Las contemplaciones (1997), El hueco (2003), De pérdidas y adioses (2005) and El umbral (2011). María Victoria Atencia was born in Malaga (Spain). 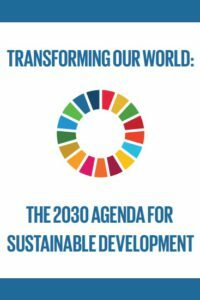 She holds an honorary doctorate from the University of Malaga and has been awarded the Malaga Provincial Gold Medal and Freedom of Andalusia. In 2010 she won the seventh City of Granada–Federico García Lorca International Poetry Prize and in 2014 the Reina Sofía Prize for Ibero-American Poetry. Fina García Marruz (b. 1923) is one of the most exquisite, intimate voices in twentieth-century Cuban poetry and literature in Spanish. She was a member of the Orígenes (Origins) group, which revolutionised and modernised literature in Cuba beginning in the 1940s, and whose other members included her husband, Cintio Vitier, as well as José Lezama Lima, Eliseo Diego and Gastón Baquero. Fina García Marruz is the author of works including Las miradas perdidas (1951), Visitaciones (1970), Viaje a Nicaragua (1987) and Habana del centro (1997). An erudite essayist and scholar of the works of José Martí, she has written numerous essays, few of which have been published outside Cuba, including Temas martianos (with Cintio Vitier, 1969), Hablar de la poesía (1986) and Darío, Martí y lo germinal americano (2001). Shortlisted for the Cervantes and Juan Rulfo prizes, in 2007 she won the Pablo Neruda Prize, and in 2011 she was awarded both the Reina Sofía Prize for Ibero-American Poetry and the eighth City of Granada–Federico García Lorca International Poetry Prize. Pablo García Baena (Córdoba, 1923) is one of the founders of the Cántico group, together with Juan Bernier, Julio Aumente and the painters Miguel del Moral and Ginés Liébana. The brilliant, intense, precise poetry of Pablo García Baena can be found in such collections as Rumor oculto (1946), Mientras cantan los pájaros (1948), Antiguo muchacho (1950), Óleo (1958), Almoneda (1971), Antes que el tiempo acabe (1978), Fieles guirnaldas fugitivas (1990) and Los Campos Elíseos (2006). 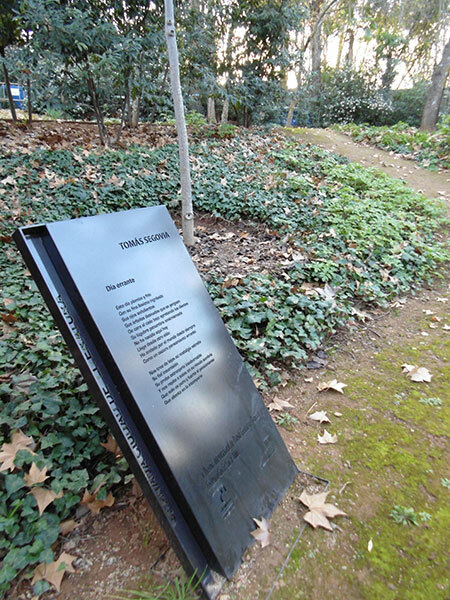 After winning the Prince of Asturias Literature in 1984, the Andalusian Literature Prize in 1992 and the Reina Sofía Prize for Ibero-American Poetry in 2008, he was awarded the ninth City of Granada–Federico García Lorca International Poetry Prize in 2012. Pablo García Baena (Córdoba, 1923) es uno de los fundadores del Grupo Cántico junto a Juan Bernier, Julio Aumente y los pintores Miguel del Moral y Ginés Liébana. La poesía de Pablo García Baena, brillante, intensa y rigurosa, se ha desplegado a lo largo de los años en libros como Rumor oculto (1946), Mientras cantan los pájaros (1948), Antiguo muchacho (1950), Óleo (1958), Almoneda (1971), Antes que el tiempo acabe (1978), Fieles guirnaldas fugitivas (1990) o Los Campos Elíseos (2006). 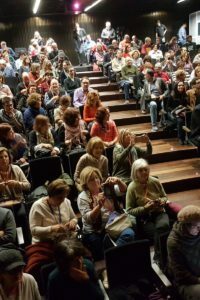 Premio Príncipe de Asturias de las Letras en 1984, Premio Andalucía de las Letras en 1992 y Premio Reina Sofía de Poesía Iberoamericana 2008, fue galardonado en 2012 con el IX Premio Internacional de Poesía Ciudad de Granada Federico García Lorca. The motif of the tiger (a metaphorical instrument symbolising, as he describes it, the “image of death, destruction and also beauty”) runs throughout Lizalde’s work almost as an obsession, to the extent that he has even been nicknamed “El Tigre”. 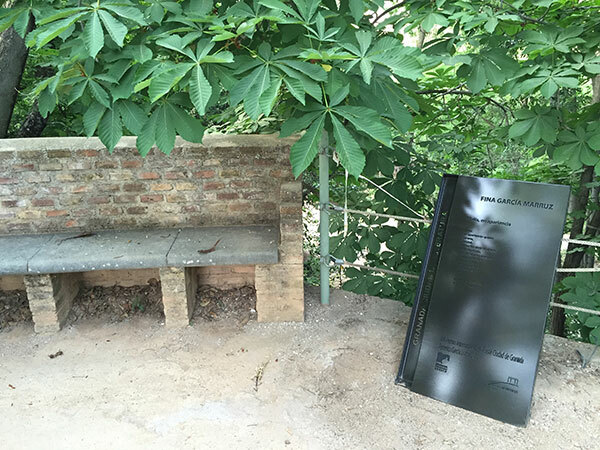 As a cultural curator he has served a director of the Casa del Lago at UNAM, as well as editing the cultural supplement of the newspaper Novedades for one year. He has been a member of the Mexican Academy of Language since 2007. His awards include the Xavier Villaurrutia Prize (1970), National Literature Prize (1988) and Alfonso Reyes Prize (2011). In 2013 he won the tenth edition of the City of Granada-Federico García Lorca International Poetry Prize. 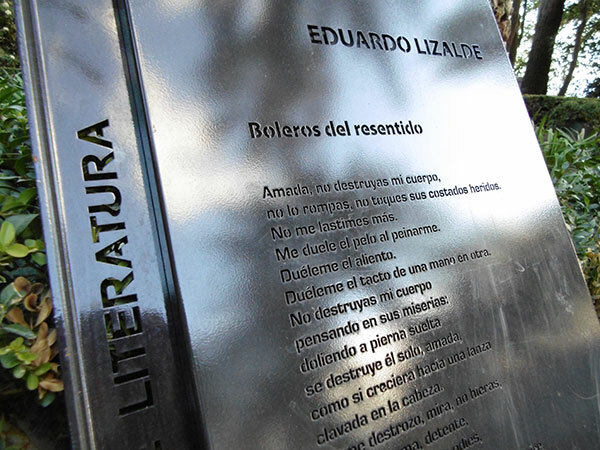 Eduardo Lizalde (Ciudad de México, 1929) estudió la carrera de Letras en la Facultad de Filosofía y Letras de la UNAM. En 1956 publicó su primer libro de poemas, La mala hora. Por esas fechas inició una breve militancia en el Partido Comunista Mexicano y fundó, junto con Enrique González Rojo y Marco Antonio Montes de Oca, un movimiento literario llamado Poeticismo. Otros libros importantes dentro de su carrera literaria son Cada cosa es Babel (1966), El tigre en casa (1970), Caza mayor (1979) y Tabernarios y eróticos (1988), entre sus libros de poemas, además de los cuentos de La cámara (1960) y los ensayos Luis Buñuel, odisea del demoledor (1962) y Autobiografía de un fracaso. El poeticismo (1981). El motivo del tigre (un instrumento metafórico que simboliza la “imagen de la muerte, de la destrucción y, además, de la belleza”, en palabras del propio poeta) recorre como una obsesión toda su obra, hasta el punto de que Lizalde ha llegado a ser apodado El Tigre. Gestor cultural, ha sido, entre otros cargos de relevancia, director de la Casa del Lago de la UNAM. Dirigió durante un año el suplemento cultural del diario Novedades. Desde 2007 es miembro de la Academia Mexicana de la Lengua. Es Premio Xavier Villaurrutia (1970), Premio Nacional de Literatura (1988) y Premio Alfonso Reyes (2011), entre otras distinciones. 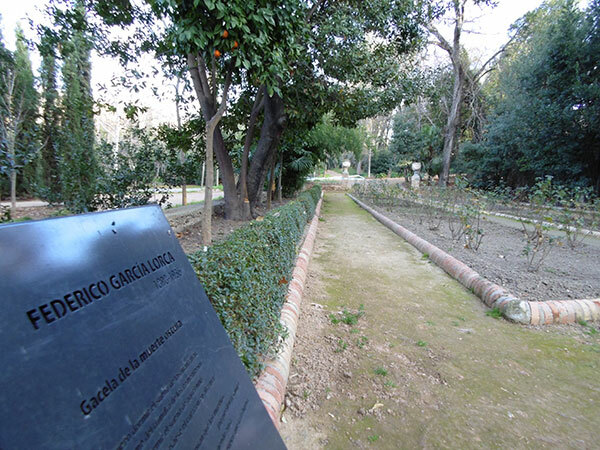 En 2013 ha sido galardonado con el X Premio Internacional de Poesía Ciudad de Granada Federico García Lorca.